October is one of my favorite months. The air gets crisp and the leaves start to turn. My kids are getting excited to dress up for Halloween, and we are all busying ourselves with projects to decorate our house for trick-or-treaters. 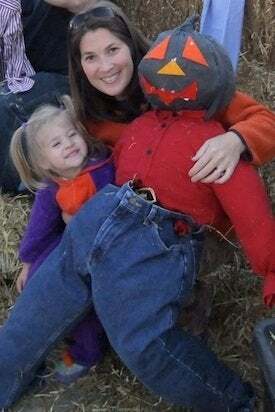 The year we moved to Southern Delaware, we made one of my all-time favorite Halloween decorations at the Sea Witch Festival in Rehoboth Beach—a scarecrow. It’s a super easy thing to do, which mostly involves materials (other than a bale of straw) you probably already have around your house. Our kids absolutely love making a scarecrow every year to put on our front porch. Here’s what to do. 1. Make the head and arms. The pantyhose will become the head and arms of your scarecrow. Stuff the legs and top of the pantyhose completely and put a knot in the top at the waistband. Put the legs of the pantyhose into the arms of your shirt so that the head is coming out of the neck. You can cover the head with a burlap sack or pillowcase, but it’s not strictly necessary. Button the top button. Tie twine around the cuffs of the shirt to close off the arms. 2. Make the legs. Tie off the bottom of each pant leg with twine. Stuff the pants all the way to the top. 3. Put the body together. Safety-pin the bottom of the shirt into the waistband of the pants and button the bottom few buttons of the shirt. Then stuff the torso of the shirt and button up the remaining buttons. 4. Make the face. Cut felt or scrap fabric in the shape of eyes, nose, and a mouth and glue them onto the head. Alternatively, use markers or paint to make the face. 5. 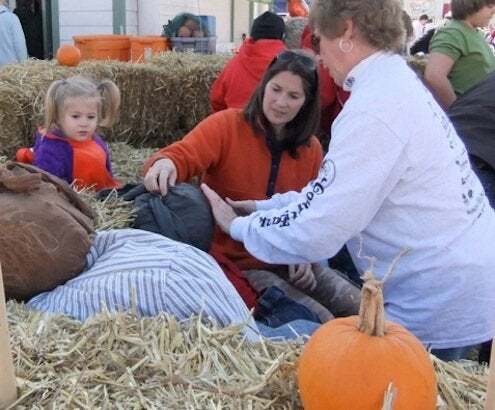 Finish dressing your scarecrow. Add hats, scarves, and any other accessories to make your scarecrow unique. If you’re adding gloves or boots, you can untie the ends of the shirt and pants, retying them once you’ve stuffed and put those items in place. 6. Display. 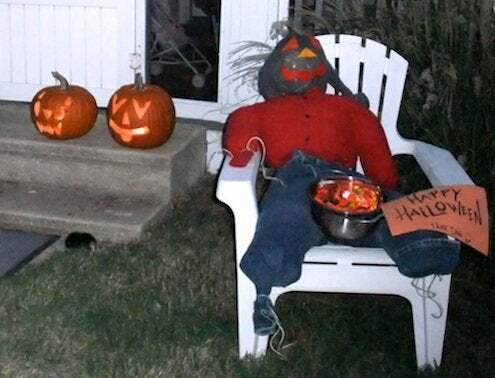 Set your scarecrow out to spook and delight your neighbors! You can make scarecrows in all shapes and sizes, wearing all manner of attire. Let your imagination run wild. This is a fun and simple enough project for kids of all ages to enjoy. You can save the clothing from year to year and make an entire scarecrow gang!